So, hello dear friends. And this again dossier on survival in Minecraft PE 0.9.0. We stayed on iron armor, hikes in the mine and the domestication of the wolf. Now we have to get diamonds. Usually they lie at a height of 6-12 blocks but they can be slightly below, slightly above. It often happens that you go down into a deep cave and see there the lava. Next to the lava often come across diamonds straight yet protruding from the ground. 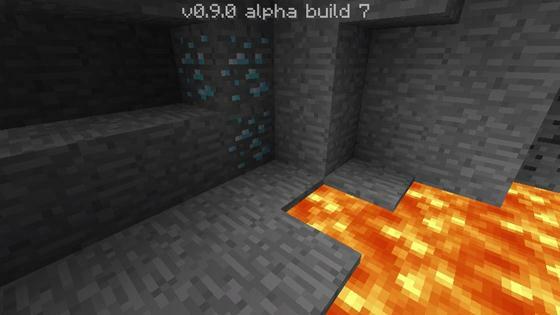 Note: The diamond can be collected only by means of an iron pickaxe, or diamond, which at the moment we do not. Take into account that in the dark caves. 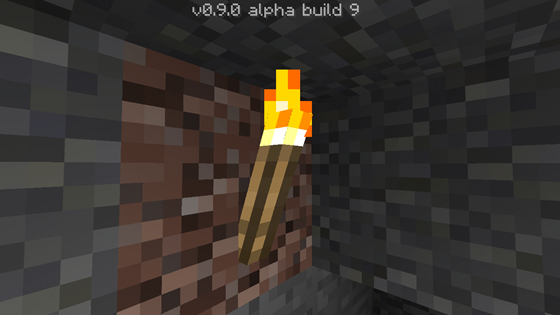 With a need to take more torches. darkness and ignorance of the terrain. By torches, you can always go back home! Be careful near the lava, because there is always a sneaky skeleton and drown you there. With regards to your inventory. Always carry a stack of cobblestone or earth, in case you need to move the lava or something else. Take always with two swords, in case one breaks down (if a diamond sword, you can take one). As already mentioned, bring a torch. Possibly take an ax and a shovel. Be sure to take food in case of battle. If you sit in a cave and you are attacked by mobs too much and you can not fight back, then go to the wall and immure. 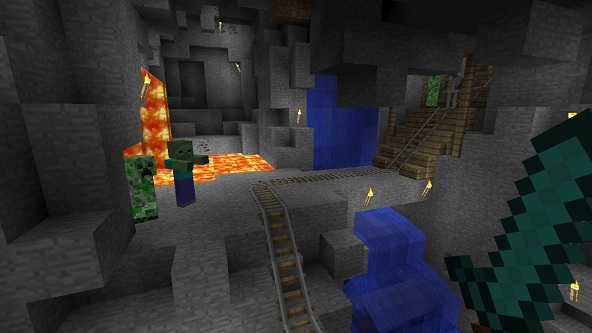 Then, continue to roam the mine. And finally I would like to say one more thing. The main rule in Minecraft - never dig for yourself! BiblioCraft mod for Minecraft 1.7.10BiblioCraft fairly simple mod for Minecraft that adds eight new species of unique blocks.